Unfortunately in Gunnedah and surrounding areas parvovirus is a very common contagious disease that can kill puppies and dogs. The general symptoms of this terrible disease are lethargy, off food, vomiting and foul smelling diarrhoea which can be bloody. It is contracted by having an unvaccinated animal come into contact with infected faeces from a dog that had the disease. The virus can survive in the environment for years and can survive on objects such as food bowls, shoes, clothes, carpet, dirt and grass. If your young animal has not had its full course of puppy vaccinations, or is not up to date with its annual vaccination, it is at a much greater risk of contracting parvovirus. Please do not take unvaccinated dogs out in public areas such as the river, parks or footpaths as these are very easy ways to contract the disease. Furthermore, please vaccinate your dogs! It is extremely uncommon for a properly vaccinated dog to contract parvovirus. The take home message is vaccination is cheaper than hospital care. There is no cure. We can only offer supportive care which can become very expensive and unfortunately many dogs will still not survive. Then yearly boosters for all dogs. If you are unsure about your dog’s vaccination status, or would like to ask a question or book an appointment, please call our friendly staff at Gunnedah Vet Hospital. Unfortunately in Gunnedah and surrounding areas there is a large number of unvaccinated stray cats. These cats carry diseases which can then be transmitted around our unvaccinated domestic cats. The two deadly viruses are Feline AIDS and FeLV. These viruses are transmitted mainly via fighting and saliva transfer. Therefore outdoor cats that are allowed to roam are most at risk. They both cause immunosuppression and cats can then develop chronic secondary and opportunistic infections of the respiratory, gastro-intestinal system, urinary tracts as well as the skin. 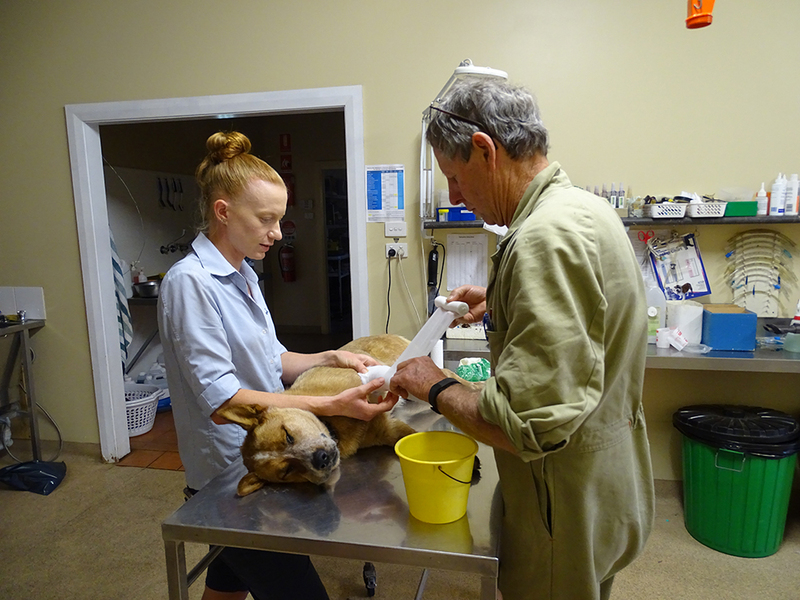 At Gunnedah Veterinary Hospital we desex both dogs & cats by appointment only. The surgery is carried out in our purpose built surgery under gas anaesthetic with a full range of monitoring equipment & modern drugs. We will admit your pet in the morning of the surgery (between 8am & 9:00am) & ask that you withhold food & water from 8pm the night proceeding surgery. During admission, we ask you to complete an admission form, which gives us a more detailed picture of your pet’s current health status. At this stage our vets examine your pet for general health & any anaesthetic risks. This is also a good time to discuss any concerns you have about the surgery (or after care) with our vets who are more than happy to answer your questions. Your pet will generally be ready for discharge after 4pm unless other arrangements are made prior to the day. We have even been known to desex ferrets & rabbits when the occasion demands! We aim to have a morning consulting period from 8am to 10:30am and then again from 2:30pm-5:30pm. We do surgeries in between these times. Appointments are necessary so please phone 6742 1834 for an appointment time to avoid waiting for an empty position. We perform anything from dog fight wounds, pig wounds, soft tissue surgery, abdominal, chest, reproductive and ortheopaedic surgery. Anaesthesia is undertaken using our purpose built facility with modern drugs and anaesthetic monitoring equipment. Our facilities have in-house services including digital X-Ray, ultrasound and endoscopy. 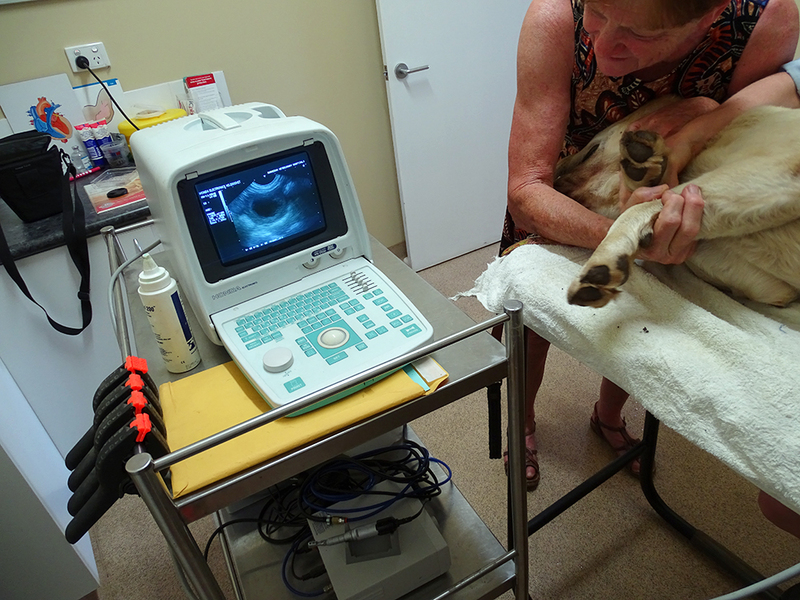 The ultrasound facility can be used to diagnose your pet’s pregnancy from 21 days. It is also used as a diagnostic tool in many small animal diseases. One of our most common questions is “why does my dog have bad breath?” and the simple answer is dental disease. Common signs of dental disease are bad breath, fussy eater, pain when eating or reluctant to eat, dribbling and badly stained teeth. If you have a look in the mouth the gums are red and angry looking with brown staining on the teeth. Sometimes you can even see exposed roots and reseeding gum lines. Treatment depends on the severity of the disease. For milder cases it involves a general anaesthetic with a scale and polish and more complicated cases will also need extractions. It is the same old story “prevention is better than cure”. Dog and cats that use their teeth to chew on bones or hard dog biscuits are generally better than animals who eat tinned food. Large bones are great for this because it give your pet a “mouth work out” without consuming large amount of bone which can cause constipation. We also offer a range of products from mouth washes to dental chews at our hospital. 3rd puppy vaccination at 16 weeks then yearly boosters. We do believe in desexing all pets where there are no plans for breeding. We recommended desexing at 5-6 months of age depending on breed, although a pet of any age can be desexed. Heartworm prevention should be started at 3 months of age. There are many options from injections, spot on’s and tablets. Ask our friendly staff for what option best suits your pet and lifestyle. We recommended a good quality puppy and kitten food for all young animals that are growing. Puppy/kitten biscuits are the best diet as they provide the correct calcium/phosphorus ratio which is important for growing bones. Pets should not be fed a sole meat diet as this ratio is not accurate. It is in these pets that we commonly see growth deformity problems resulting from poor diet. Come talk to our friendly staff (our nurse Katherine Wilson has completed a Hills nutritional course) about what food is appropriate for your pets age and breed as requirements do vary. Human food is not meant for our pets and there are many pet friendly options which are better suited. We stock a wide range of diets to suit all pets. There are many different options ask our friendly staff which one best suits you and your pet. We offer a full range services from clipping your trendy Poodle to tidying up the family Border Collie. Our nurses clip & hydro-bath dogs & cats in all shapes and sizes, trim toenails & perform ears checks. Grooming is by appointment only so book early during peak seasons to avoid a long wait to have your pet groomed to perfection. We would like to inform you of our hospitals grooming policies as this allows you to understand the process your pet undergoes whilst attending our hospital for a groom. We generally like all pets FASTED the morning of your appointment. This then enables us to give you pet a mild sedation (if required) whilst grooming. It is important to us that the process is a stress free as possible. Upon arrival you will be asked to sign a grooming consent form which will entail how you would like your animal to be clipped and your pets current worming and vaccination history. We try our best to clip your pet the best to your instructions (where possible). Sometimes if the hair is quite matted we have no other choice than to clip the coat very short all over as clippers will not cut through matts. We also prefer to do this as trying to clip through matts is also very painful for your pet as it pulls on their skin. Mild sedations are also offered to anxious dogs or those that are difficult to groom. This can make the whole process a lot more relaxing for your pet and to leave with a more positive experience. 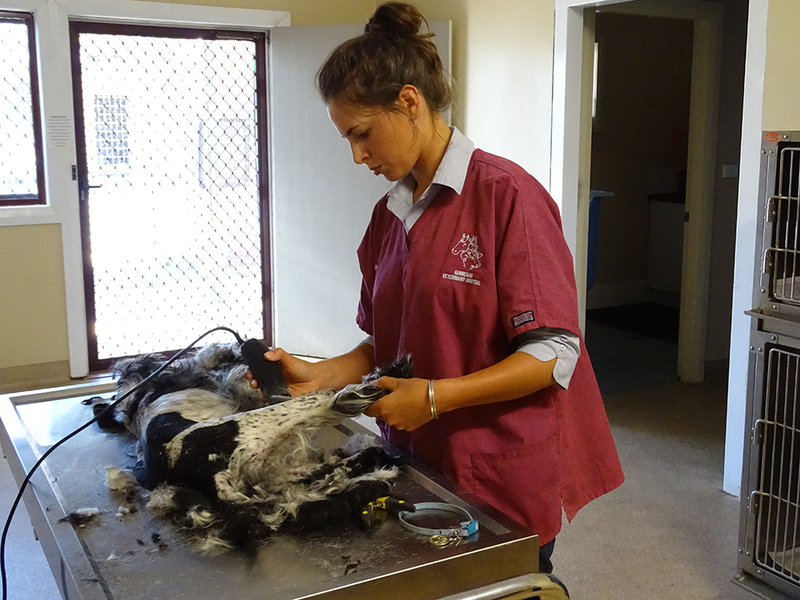 All animals will be given a hydro-bath after clipping and blow dry. VetPay is an external credit provider, specially designed to help you pay for veterinary expenses without the worry of high upfront costs. It’s an online processing system done here at our practice – which means no forms for you to fill in, and its processed instantly with most applications approved on the spot. Ask one of friendly staff members for further details. An after hours roster ensures that there is a veterinarian on call 24 hours a day. Deciding to euthanasia your pet can be a difficult and upsetting decision. To try and make the process as stress free as possible we try to tailor to best suit your needs. Home euthanasia can be arranged if required. Cremation services are also available on request.